And then there were five: On June 23, Chip and Joanna Gaines revealed that Joanna had just given birth to the couple’s fifth child, a healthy baby boy. A sweet Instagram post from new mommy Jo shows her cuddling her newborn, with dad and siblings surrounding her. If you’ve been following the design duo’s every move with the same fervor we have, you’ll know that this name is a bit of a change for them, especially considering the way the gender of the baby was revealed. Back in March, Chip posted an adorable Twitter video in which he talks to a small and very adorable child named Gage, asking for his advice on picking a name. In the past, the couple seemed to have a pattern for naming their kids—the girls are named Ella and Emmie; the boys, Drake and Duke—so, when the following exchange occurred, it was automatically assumed the Gaineses were expecting a little baby boy. He then said something about potentially naming his unborn son Dragon—an option Joanna has thankfully nixed. And we have to admit, we like the final decision a whole lot better. The initial news of the pregnancy first came in January via an Instagram video posted by Chip, in which the couple hint at exciting news to come in the latest episode of Fixer Upper. And in case there was any confusion about the nature of the news—though we’re not sure how ambiguous cravings for pickles and ice cream can be—Chip further cemented the announcement in a follow-up post. Joanna later shared the news on her page as well, showing a sonogram video and including early gender predictions that turned out to be surprisingly accurate. 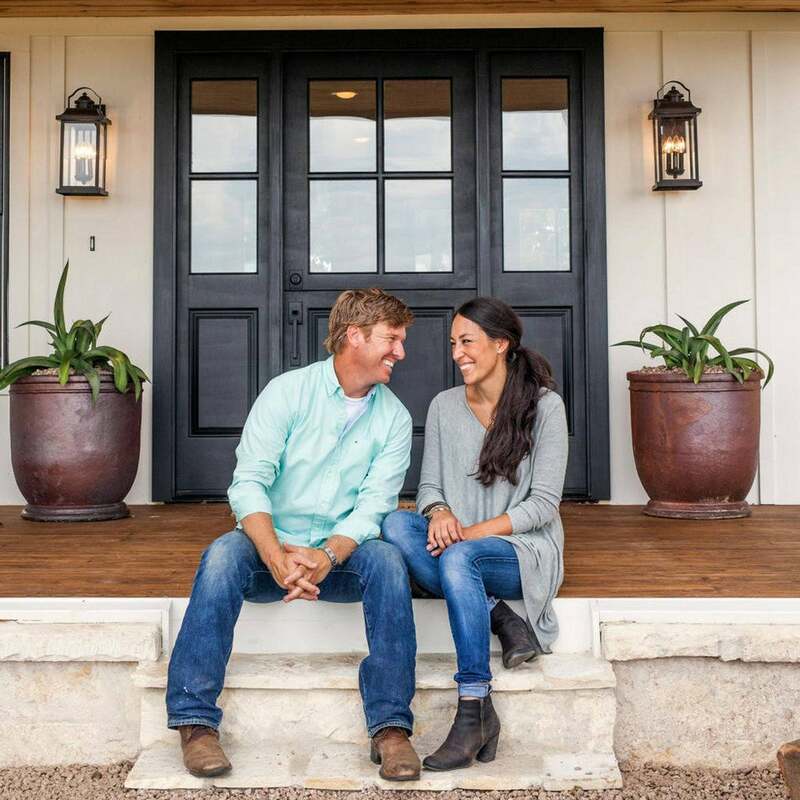 News of the pregnancy followed the September 2017 announcement that the fifth season of Fixer Upper will be the last (a fact which we’re still not ok with, to be honest). In a blog post explaining why they chose to end the hit show, Chip and Joanna wrote that part of the reason behind the “bittersweet” decision was, in fact, due to wanting to focus on family—a reasoning that makes all the more sense now, given this latest exciting development. “Our plan is to take this time to shore up and strengthen the spots that are weak, rest the places that are tired, and give lots of love and attention to both our family and our businesses,” they wrote. Despite the end of their show and their new baby boy, the couple is showing no signs of slowing down anytime soon. Joanna’s Magnolia Table cookbook is out, the couple officially opened their Waco, Texas restaurant of the same name in February, and Joanna also recently revealed the cover of her upcoming design book, hitting stores on November 6. We couldn’t be happier for Chip and Jo, and can only hope for more adorable pics of Crew to come—dressed in Joanna’s new kids clothing line, of course. This story was originally published January 3, 2018. It has been updated with new information.